The NSW Government has not given Gosford Council any clarification about what might happen to rates as part of the potential merger between Gosford and Wyong Councils. 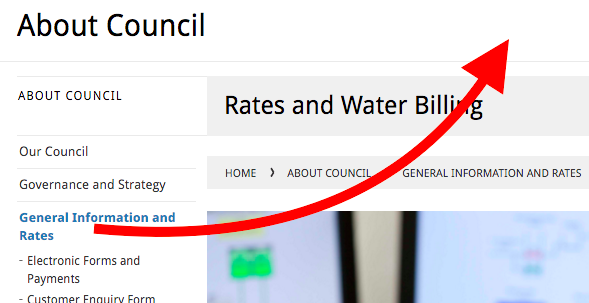 “Council is yet to receive any clarifi cation from the NSW Government about what might happen under the possible freezing of rate paths as part of the potential merger of Gosford and Wyong Councils,” said Gosford Council CEO, Mr Paul Anderson. “As such, unfortunately council cannot speculate about what impact a merger might have on Gosford ratepayers,” Mr Anderson said. “In council’s submission to the NSW Government on the proposed amalgamation it was identifi ed that the equalisation of the rating systems, if not done in a considered manner, could see a rise of up to 18 per cent for Gosford residential rates,” he said. Under NSW local government laws, councils can calculate rates in one of three ways: entirely on the land value of the property; on a combination of the land value and a fi xed amount per property; or entirely on the land value, subject to a minimum amount. Gosford Council adopted the third method for the 2015-16 year. “The method for 2016- 17 will be adopted by the Council prior to the start of the rating year,” Mr Anderson said. The NSW Independent Pricing and Regulatory Tribunal (IPART) is responsible for setting the rate peg for NSW councils. This rate peg determines the maximum percentage amount by which a council may increase its general income from rates for the next year. In December 2015, IPART announced a rate peg of 1.8 percent for 2016/2017. The rate peg percentage is applied to the total income received in the previous fi nancial year and then rates are distributed among the three categories of rateable properties, residential, business, or farmland. Ordinary rates for the next three years will be based on the recent land valuation from the NSW Valuer General that was completed for July 1, 2015. Rates are calculated by taking the total number of rateable residential properties (67,555) and dividing it by the total land value for those properties ($20,551,953,877). This calculation gives the residential rate in the dollar factor, which is 0.003. To calculate a residential property’s ordinary rates, the value of the land (unimproved) is multiplied by 0.003 (the rate in the dollar factor).